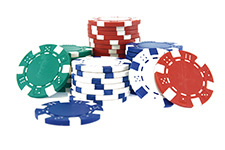 Probably the most popular casino table of the card games in the world, as it is an ideal Fun Casino game to play for both novices and the more experienced player, as it’s a likened to as a variation of Pontoon. 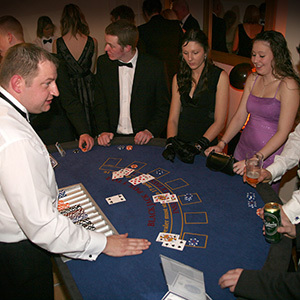 The aim of the card game is to beat our croupier by getting your cards to total twenty-one or as close to twenty-one as possible. If you go over – you automatically lose. 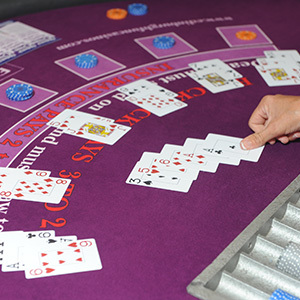 Everyone plays against our croupier who starts each card game by dealing each player two cards and one card to themselves. Not sure how to play Blackjack? 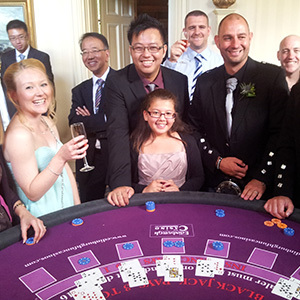 Our croupiers are only to happy to explain the rules and teach you how to play (and hopefully win!). Please click here for a copy of the rules of Blackjack.